Papers Presented, Participation on Panels, etc. “Dean Emeritus of Chicano Politics: Albert A. Peña of San Antonio,” Organization of American Historians, Providence, R.I., April 8, 2016. “La Causa, the Chicano/a Movement, and Texas Politics in the 1960s,” Texas Center for Working-Class Studies, Collin College, Plano, March 31, 2016. “Starr County Strike 50 Years Later: La Causa, the Chicano/a Movement, and Texas Politics in the 1960s,” Texas State Historical Association, Irving, March 4, 2016. Invited, “Special Panel on Recently Published Books,” Sal Castro Memorial Conference on the Emerging Historiography of the Chicano Movement, University of California, Santa Barbara, February 26, 2016. 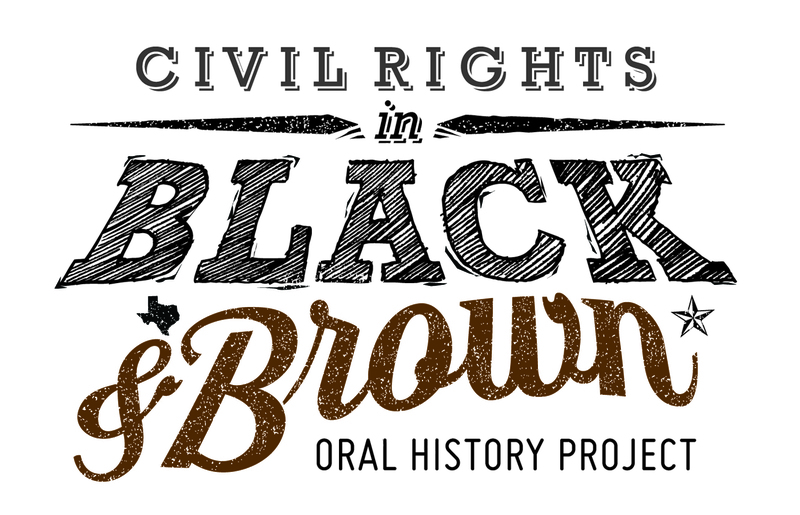 “Civil Rights in Black and Brown: A First Look from the Field,” Latinos, the Voting Rights Act, and Political Engagement Conference, Austin, Texas, November 12, 2015. Chair and Comment, Unjust Laws and Practices: Organized Labor, Immigrant Rights, and the 1965 Immigration and Nationality Act along the U.S.-Mexico Border, Immigrant America: New Immigration and Immigration Histories from 1965 to 2015, co-sponsored by the Immigration and Ethnic History Society and the Immigration History Research Center, University of Minnesota, Minneapolis, October 24, 2015. “Unwieldy Acronym, Ambitious Vision: UCAPAWA’s Farm to Factory Organizing in 1930s-1940s America,” Labor and Working-Class History Association and Working-Class Studies Association joint conference, Georgetown University, Washington, DC, May 30, 2015. Chair, “Citizenship, Health, and the Bracero Program,” Labor and Working-Class History Association, Georgetown University, Washington, DC, May 29, 2015. Roundtable Participant, “Remembering Lawrence C. Goodwyn: Reflections on How to Study and Organize Around Class, Race, and Power,” Labor and Working-Class History Association, Georgetown University, Washington, DC, May 28, 2015. Chair, “Student Works-in-Progress,” Texas Center for Working-Class Studies Conference, Collin College, Plano, Texas, April 10, 2015. Chair, “Race and Ethnic Issues,” Race, Ethnicity, and Place (REP) VII, Fort Worth, October 24, 2014. My students from the civil rights bus tour also presented on this panel. Invited Panelist, “Civil Rights in Black and Brown,” Scholarly Communication: A Changing Landscape, conference sponsored by the TCU Library, October 23, 2014. Panelist, “Voices of the Voting Rights Act in Texas” Roundtable, Oral History Association, Madison (Wisc. ), October 11, 2014. Chair, “Living Histories of the Madison Movement,” Oral History Association, Madison (Wisc. ), October 10, 2014. Conference Paper: “Beyond Emma Tenayuca: The Pecan Sheller Strike and Multiracial Coalition-Building in Texas,” Association for the Study of African American Life and History (ASALH), Memphis, September 26, 2014. Chair, “Fighting for Economic Justice across the Color Line: Black-Latino Organizing Post-1965,” Organization of American Historians, Atlanta, April 2014. Chair and Commentator, “Civil Rights in Texas,” Texas State Historical Association, San Antonio, March 8, 2014. Chair & Commentator, “Reinventing the Past: Recovering Lost Communities and Challenging New Stories,” Oral History Association, Oklahoma City, October 11, 2013. Invited Panelist, “State-of-the-Field: New Race Histories: Color Lines and Freedom Struggles,” Organization of American Historians, San Francisco, April 12, 2013. Moderator, “Roundtable: Immigrant Rights and Resistance in the Nuevo South,” Southern Labor Studies Association, New Orleans, March 9, 2013. Chair and Commentator, “Race, Labor, Politics, and the Transformation of Class Consciousness in the Lone Star State,” Southern Labor Studies Association, New Orleans, March 7, 2013. Invited Conference Paper: “Black-Brown Coalitions in Houston: A Brief Overview,” The Past and Present of Race and Place in Houston, Texas, Rice University, February 26, 2013. 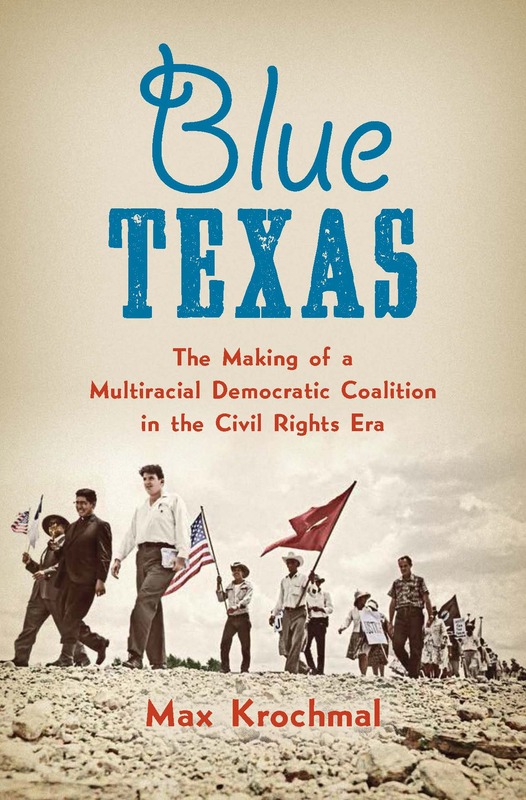 “Black and Brown at Work: Labor, Civil Rights, and the Texas Democratic Coalition of 1963,” Dallas Area Social Historians, January 25, 2013. “Democratic Coalitions: The Texas AFL-CIO, Civil Rights, and Electoral Politics,” Texas State Historical Association, Houston, March 1, 2012. Invited Conference Paper: “San Antonio Chicano Organizers (SACO): Labor Activists and el Movimiento,” Chicano! A Conference on the Emerging Historiography of the Chicano Movement, Chican@ Studies Department, University of California, Santa Barbara, February 18, 2012. Roundtable Presentation: “Working-Class Interracialism: Stories of Electoral Political Coalitions and Civil Rights Struggles from the Texas Labor Archives,” Southern Labor Studies Association and Labor and Working-Class History Association Conference, Atlanta, April 7, 2011. “Black Texans and the Struggle for Jobs and Freedom, 1945-1970,” Southern Historical Association 76th Annual Meeting, Charlotte, November 7, 2010. “Black and Brown Workers and the Struggle for Democracy in Texas, 1945-1965,” Western History Association 50th Annual Meeting, Incline Village, Nevada, October 14, 2010. “Black and Brown at Work: Chicano Labor Organizers, African American Civil Rights, and the Struggle for Democracy in San Antonio, 1956-1978,” Southwest Labor Studies Association 36th Annual Conference, Santa Cruz, California (UCSC Center for Labor Studies), May 8, 2010. “Jim Crow Beyond Black and White: Mexican American Workers in Texas,” African and African American Studies Working Group, Duke University, January 21, 2010. Commentator, “Migrant Constructions of Space,” Taking Up Space: An Interdisciplinary Conference, Duke University, January 29, 2010. “A ‘Faustian Pact?’ Mexican American Workers and Jim Crow in post-World War II Texas,” Organization of American Historians Annual Meeting, Seattle, March 27, 2009. Panel participant, “The Duke Oral History Initiative: The First Thirty-Five Years.” History Department Colloquium, Duke University, February 23, 2009. “Rethinking ‘Civil Rights’: Industrial Workers, Class, and Economic Justice in the Birmingham Freedom Struggle, 1945-1965,” North Carolina Graduate Student History Conference, NC State University, February 16, 2008. Panel participant, “Labor Historians and Scholar-Activism,” in Concluding Session, Working-Class Activism in the South and Nation: Contemporary Challenges in Historical Context, Labor and Working-Class History Association and the Southern Labor Studies Association, Duke University, May 19, 2007. “‘For Democracy in the South’: Packinghouse Workers’ Civil Rights Unionism, 1952-1962,” New Perspectives on the Black South, University of North Carolina, Chapel Hill, February 23, 2007. Invited Talks, Guest Lectures, Public Engagement, etc. Keynote Speaker and workshop leader, Association of Personal Historians annual meeting, Fort Worth, October 25, 2016. Invited Panelist, Teach for America Fort Worth Community Day, training for incoming corps members, Uplift Mighty Preparatory School, Fort Worth, June 17, 2016. Invited Panelist, screening of Latino Americans, “War and Peace” and “Prejudice and Pride,” City of Fort Worth Human Relations Commission Movies That Matter film series, Modern Art Museum of Fort Worth, April 30, 2016. Discussion leader, screening of Selma, Reel Religion Film Festival, University Christian Church and TCU Extended Education, Fort Worth, January 30, 2016. Keynote Speaker, 31st Annual Martin Luther King Jr. Holiday Celebration, City of Fort Worth, January 15, 2016. Co-led “An Introduction to Oral History” workshop for History graduate students, in collaboration with Dr. Rebecca Sharpless, TCU Department of History, October 30, 2015. Panelist on student-organized “Forum on African American Studies and Critical Race and Ethnic Studies at TCU,” October 6, 2015. Invited Panelist, screening of Latino Americans, “War and Peace” and “Prejudice and Pride,” City of Fort Worth Human Relations Commission Movies That Matter film series, Rose Marine Theater, Fort Worth, September 27, 2015. Invited Panelist, screening of The Untold Story of Emmett Louis Till, City of Fort Worth Human Relations Commission Movies That Matter film series, Modern Art Museum of Fort Worth, June 4, 2015. Discussion leader, screening of 12 Years a Slave, Reel Religion Film Festival, University Christian Church and TCU Extended Education, Fort Worth, January 30, 2015. Discussion leader, “Black Lives Matter,” sponsored by Inclusiveness and Intercultural Services, December 10, 2014. Tour Guide, “Sixth Floor Museum and Dealey Plaza,” part of the Race, Ethnicity, and Place conference, Fort Worth and Dallas, October 23, 2014. Invited Talk: “Black/Latino/a Coalitions in the Long Struggles for Civil Rights,” Hispanic Heritage Month Lecture, Mountain View College, Dallas, October 2, 2014. Invited panelist, “Forum on Ferguson: Panel Discussion on Race, Civil Rights, and Democracy,” sponsored by Inclusiveness and Intercultural Services and the Department of Political Science, TCU, October 2, 2014. Invited panelist, Minimum Wage Forum, chaired and hosted by Hon. Marc Veasey, U. S. Representative, 33rd Congressional District of Texas, Dallas, July 21, 2014. Remarks, The Reby Cary Roast: Celebrating a True Historian and Walking Biography, Tarrant County Black Historical and Genealogical Society, Fort Worth, July 19, 2014. Lecture, “Black and Brown at Work: Labor, Civil Rights, and the Texas Democratic Coalition, 1962-64,” Clements Center for Southwest Studies, Southern Methodist University, Dallas, February 19, 2014. Invited Talk, “The Power of Labor and Community in San Antonio,” opening plenary session at the national AFL-CIO Martin Luther King Civil Rights Conference, San Antonio, January 16, 2014. Radio Appearance, Workers Beat hosted by Gene Lantz, KNON 89.3FM, Dallas, August 24, 2013. Invited Talk: “Viva Kennedy and the Multiracial Struggle for Civil Rights in Texas,” Dallas, John F. Kennedy and the Struggle for Civil Rights, teacher workshop hosted by The Sixth Floor Museum at Dealey Plaza, Dallas, funded by Humanities Texas, July 30, 2013. Invited Talk: “What Justice for Trayvon Can Learn from the Civil Rights Movement,” Rally of NAACP Student Branches of University of Texas, Arlington, University of North Texas, and Texas Christian University, held in Arlington, July 18, 2013. Invited Talk: “What Texas Labor Did Right,” North Texas Jobs with Justice, Grand Prairie, Texas, July 10, 2013. Special Guest Presentation, comment and moderated discussion on A Class Apart and The Barber of Birmingham, “Movies That Matter” Film Series, sponsored by the City of Fort Worth Human Relations Commission, Modern Art Museum of Fort Worth, June 6, 2013. Invited Talk: “Labor, Civil Rights, and Electoral Politics in Postwar Texas,” DFW Solidarity Labor Fest, hosted by the Tarrant and Dallas Central Labor Councils and UAW Local 848, Grand Prairie, Texas, May 18, 2013. Invited Talk: “Oral History, Black History, and Democracy in America,” Community History Workshop, TCU Center for Texas Studies and the Fort Worth Public Library, February 2, 2013. Invited Talk: “Viva Kennedy in Black and Brown: John F. Kennedy and the Multiracial Texas Civil Rights Movement,” Paul F. Boller Symposium on the Presidency, Department of History & Geography, TCU, October 2012. Invited Talk: “The Bill Chafe Experience: Reflections and Roast,” The Unfinished Journey: William H. Chafe’s 40 Years at Duke, Franklin Humanities Institute, Duke University, Durham, N.C., October 2012. Invited Talk: “The View from the Ground: Local People and the New History of the Civil Rights Movement,” Fort Worth Museum of Science and History, June 2, 2012. Invited Talk: “From Moment to Movement: What the Campaign for Justice for Trayvon Martin Can Learn from the History of the Black Freedom Struggle,” Walking in Colors, an on-campus march organized by the TCU NAACP, with support from Inclusiveness and Intercultural Services, April 2, 2012. Guest Presentation: “Oral History Research in Urban Texas,” Oral History Methods and Methodology, History 5348, taught by Thomas Charlton, University of Texas, Arlington, March 22, 2012. Invited Talk: “Common Misperceptions and the Role of Marching in the Civil Rights Movement,” The Soundtrack of a Nation, on-campus event organized by TCU undergraduate students and sponsored by the Center for Community Involvement and Service-Learning, March 11, 2012. Invited Talk: “TCU’s First Civil Rights Bus Tour,” Chi Delta Mu Luncheon, Department of Religion, TCU, February 13, 2012. Invited Talk: “Immigration Up Close and Personal,” Fort Worth Museum of Science and History, February 11, 2012. Invited Talk & Panel Chair: “Understanding Our Place in the Movement: Reflecting on the Civil Rights Bus Tour,” TCU Inclusiveness Luncheon, January 25, 2012. Guest Lecture, “Community Organizing in an Educational Context,” in Psychology of Thinking and Learning, EDUC 60213, taught by Sherrie Reynolds, TCU, November 10, 2011. Guest Lecture, “Oral History Research,” in Qualitative Inquiry, EDUC 70963, taught by Sherrie Reynolds, TCU, October 24, 2011. Guest Presentation: “Oral History Crash Course for Graduate Students,” Research Seminar in Historical Methodology, History 302, taught by Elizabeth Fenn, Duke University, February 3, 2010. Invited Talk: “The Moncure Plywood Strike in Historical Perspective,” Chatham County Democratic Women, Pittsboro, NC, April 19, 2009.